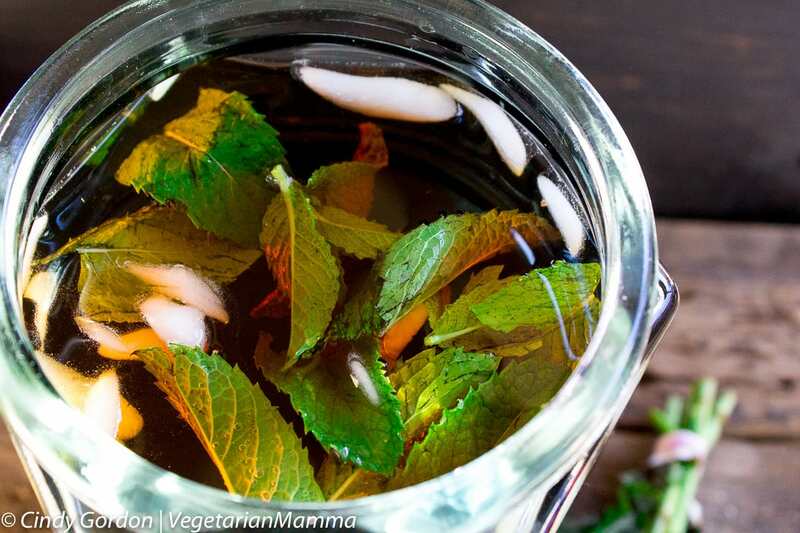 Ginger Lime Iced Tea with Mint is a perfect summer beverage for your next get together. This lime tea is not only delicious but boasts the flavors of ginger and mint. Happy Summer! We love summer and we love tea! I have such fond memories growing up of drinking tea in the summer! Now as adults, this is still one of our favorite activities! We also LOVE fresh herbs! 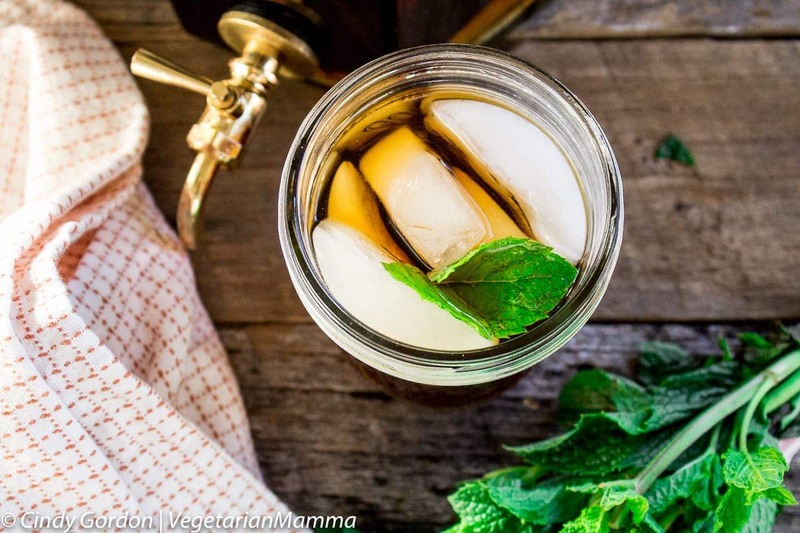 So, this iced tea recipe includes fresh mint! 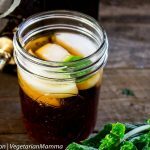 I am telling you, one sip of this delicious Ginger Lime Iced Tea on a hot summer afternoon will instantly make you slow down. Just the flavor alone helps to stop you and enjoy the fast passing moments. 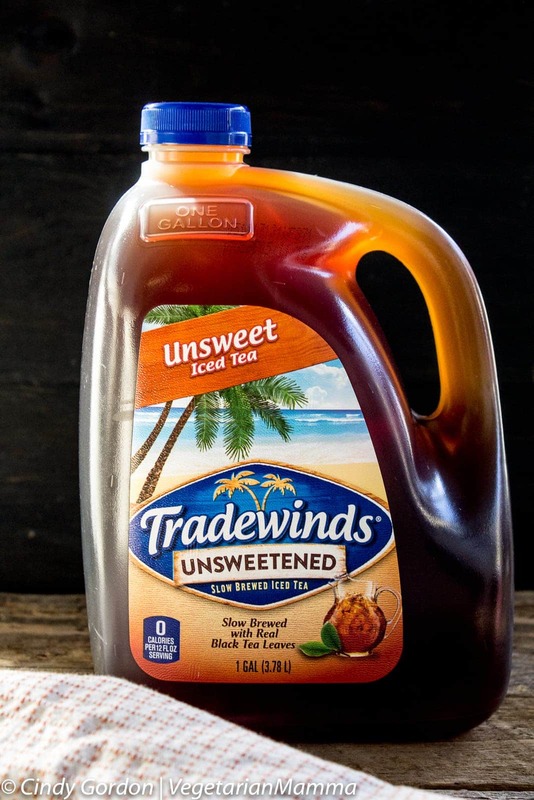 We started with our favorite tea, Tradewinds Tea. 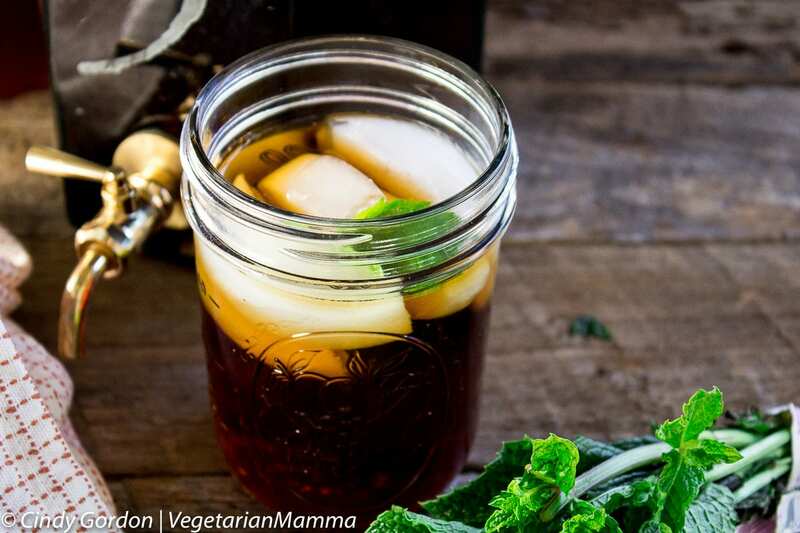 For this recipe, we chose their Unsweet Slow Brewed Tea. While you can get tea in individual sizes, we generally like to get the gallon size. 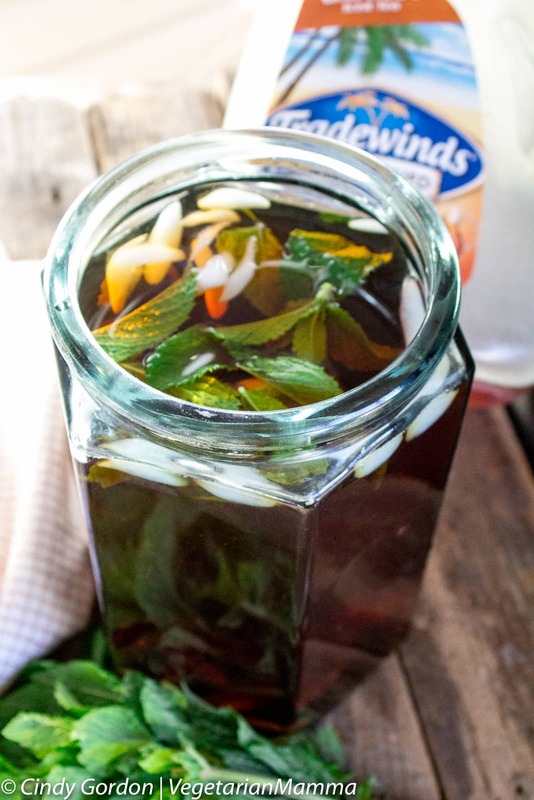 This is perfect for creating refreshing iced tea punches for the adults! We bought ours at our local Kroger branded store! Still wondering WHY we love Tradewinds? Let me dish some more about these teas! 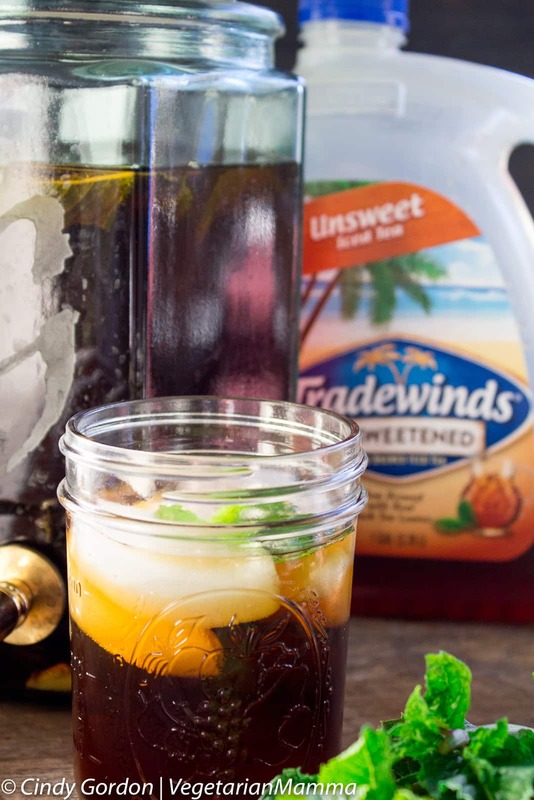 Each batch of Tradewinds Tea is slow-brewed and uses real tea leaves. This is the real-deal! 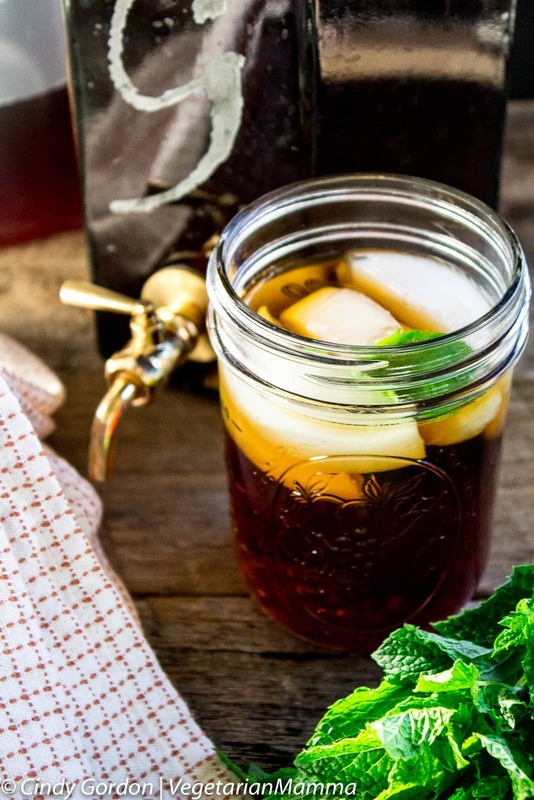 It comes in several varieties such as Sweet Tea, Unsweetened Tea, Green Tea with Honey, Unsweetened Peach, Raspberry, Tea & Lemonade and Extra Sweet Tea! 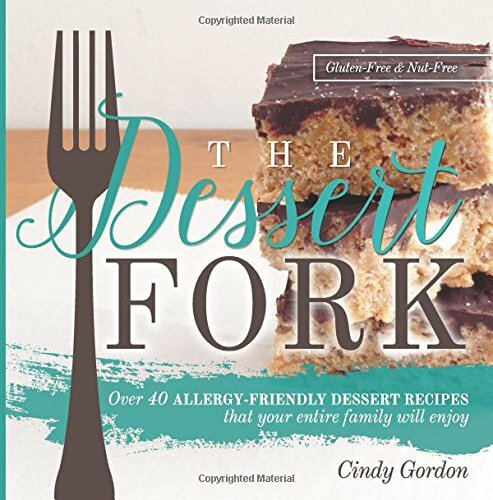 Are you ready to take a look at this delicious recipe? I made a video to show you just how easy it is to make! See I told you that was easy! That’s it. So easy. So simple. So delicious. Let’s get to this easy recipe with some more exact measurements. Check this out! Combine all ingredients, stir and chill for 20 minutes. Server over ice and ENJOY! Are you a lover of beverages? Be sure to check out the link to our Easy Summer Peach Tea Punch recipe. Are you getting hungry as we are talking through this recipe? 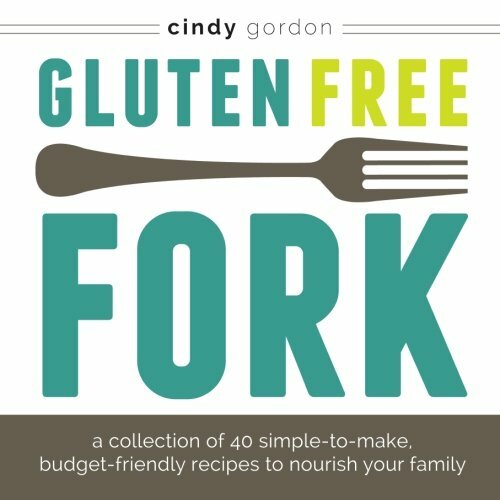 Be sure to check out our recipe index for more gluten-free recipes! Let’s talk! What is your favorite flavor of tea? Do you add in fresh herbs? 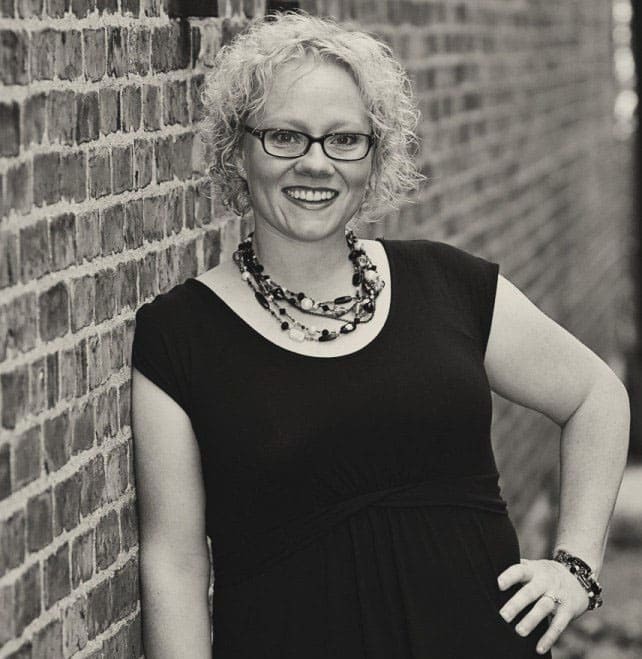 *Thank you to Tradewinds for sponsoring this post! 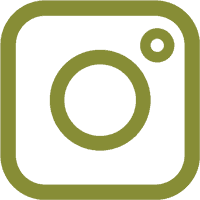 To find Tradewinds Tea by you, please check out this store locator. 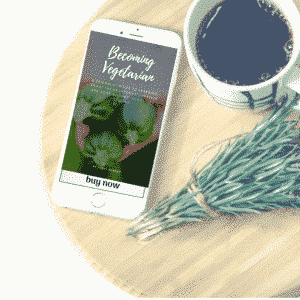 Want to connect with Tradewinds Tea? Check out their website, Facebook, Twitter and Pinterest. I am a huge tea drinker. I never would have thought to combine ginger and lime and mint all in one beverage. Sounds yummy! I am a big green tea drinker. I am glad I came across this. I’m probably going to tweak this recipe a bit. Yum, this sounds so refreshing! Ginger and lime go so well together! 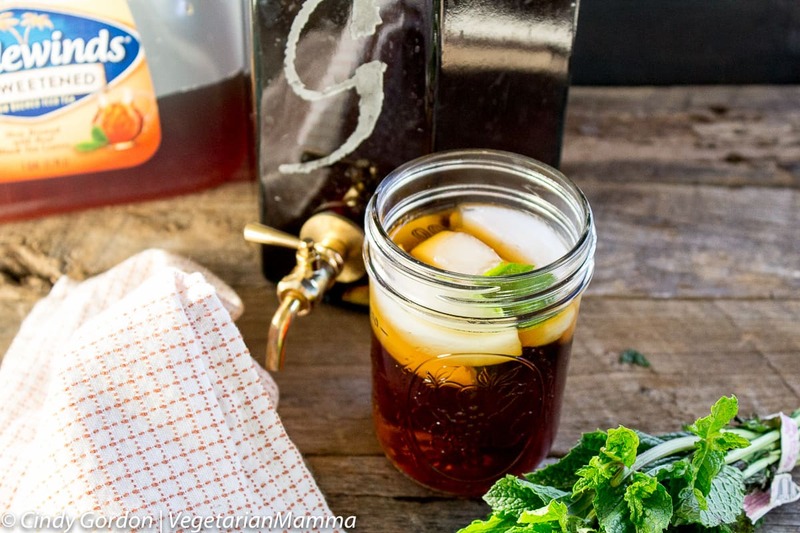 This ginger lime iced tea with mint sounds so good. I will have to try making this tea for sure. My grandma always had iced tea in the fridge when we were kids. Adding mint gives it the little extra kick it would need I believe. Thanks for sharing the recipe. I would love to try the Green Tea with Honey variety. I like how they use natural/ real tea leaves. I feels so much healthier and how they’ve got great flavour combinations. The tea is perfect for the hot summer days. I’m experimenting this summer with home made lemonades and teas and I can tell that this combination is definately in my top 3. Thanks for sharing this idea. This looks so refreshing and good. I will have to try this. This would be so good in the summer! I like ginger, thanks a lot! This sounds super refreshing although I would use my own sun brewed tea instead of the store bought stuff. What an interesting and refreshing sounding combo!